I know that you can do every thing, and that no thought can be withheld from you. When God appeared to Job, he said these words to God. He didn’t understand why God allowed suffering to befall him, but he knew that God’s intentions must lie therein. Hence, he didn’t complain of what he had suffered, but instead, he had been seeking God’s will. These are not simple words but the true knowledge of God after his experience. In ordinary life, we can say that God is almighty and everything is possible when we rely on Him. But when something unpleasant happens to us, we will complain about God, lose faith in Him and stray from Him. This is because we have no true knowledge of God. God’s words say, “People spend most of their time living in an unconscious state. They don’t know whether it’s right to rely on God or on themselves. Then most of the time they choose to rely on themselves, to rely on the beneficial conditions and environments around them, as well as the people, events and things around them that are beneficial to them. This is what people are best at. What people are worst at is relying on God and looking to God, because they feel that looking to God is too much bother. They can’t see Him or feel Him, and they feel it is vague and not realistic to do so. So people perform the worst with this lesson, and their entry into it is the shallowest. 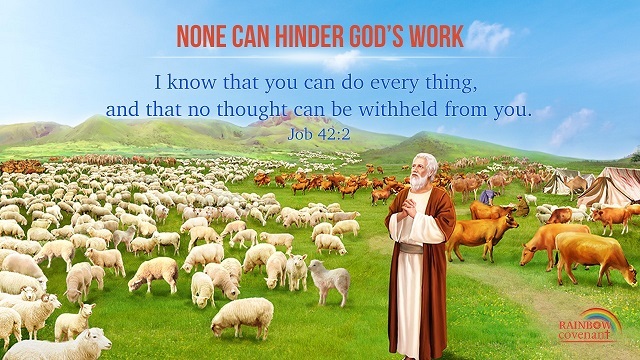 If you don’t learn how to look to God and rely on God, you will never see the work God does on you, or the guidance and enlightenment He gives to you.” From His words, we can understand that we cannot see God’s wonderful deeds because we rely on ourselves to do everything and have no true experience and knowledge of God’s sovereignty and almightiness. If we focus on depending on God in our experience, we will bear witness in trials like Job. For whoever finds me finds life, and shall obtain favor of the LORD. – Proverbs 8:35 Thoughts on Today’s Verse… We understand that God is the truth, the way, and the life. You have searched for God, of course you find the source of man’s life. God’s words say, “Perhaps,..
And when they were come into the house, they saw the young child with Mary his mother, and fell down, and worshipped him: and when they had opened their treasures, they presented to him gifts; gold, and frankincense and myrrh. 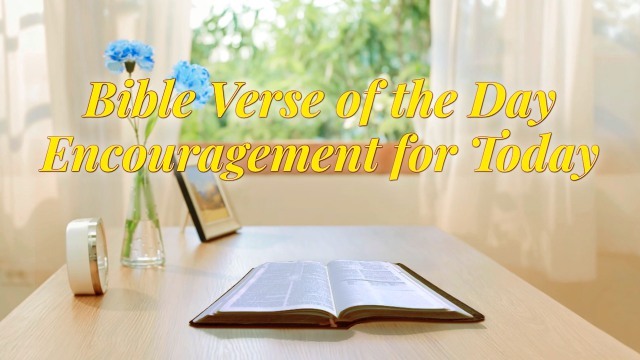 Matthew 2:11 Thoughts on Today’s Verse… This verse records that.. Behold the fowls of the air: for they sow not, neither do they reap, nor gather into barns; yet your heavenly Father feeds them. Are you not much better than they? Matthew 6:26 Thoughts on Today’s Verse… Although the fowls in the air neither sow or reap, nor do they..